It's been a very busy year here at GeekTonic. 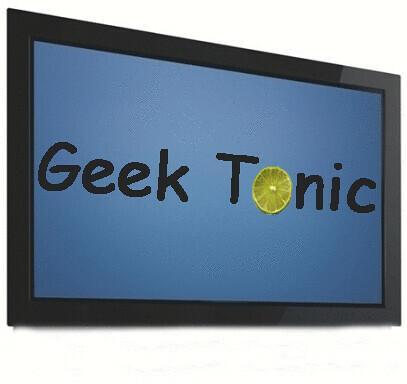 We've had many firsts this year including, first major update to the theme, first 800,000-plus page views year and definitely the first major refocusing of the GeekTonic Blog to a more Media-Gadget and HTPC focus. I want to first thank you the reader for all of your support over this past year - your readership means a lot to me and I wouldn't be doing this unless I felt I could bring you the reader more value. Please don't hesitate to tell me if there's anything you'd like to see me talk about, focus on or explain better in the coming year. TV Writers Strike - Ultimate Guide - Yes, it started in 2007, but carried on into 2008 and this monster post was a project of mine that I kept updated daily throughout the writers strike. It was a lot of work, but one of the most popular single pages I've done at GeekTonic. Answers to your Hauppauge HD-PVR Questions - The Hauppauge HD-PVR plugs the analog hole and this post shared as much information as was available about it before being released. Still a popular post even today. Hauppauge HD-PVR First Look and Unboxing- It wasn't a full review by any means, but it gave information to HTPC users craving for the ability to tune and record live digital HD and SD TV without onerous DRM and other protections. I've held off on the final review of this thing and hope to have the long overdue full review out soon. SageTV HD100 Review - Arguably one of the most successful and useful HTPC extenders ever made, the SageTV HD100 hit the HTPC scene with a bang. SageTV sold them so fast they could barely keep them in stock and since have released the successor named the HD200. Converting Laptop into Digital Photo Frame - I posted this in mid-2007, but it is still very popular. Matter of fact I've been using it on a daily basis and have upgraded it a bit recently. I have an even better solution for DIY Digital Photo Frames I'll be sharing with readers in 2009. Supercharge your SageTV with SageMC - It's name is confusing for outsiders and new SageTV users alike, but the most popular add-on for SageTV is called SageMC. SageMC over the past year has gotten so much better - for those that diss on SageTV for it's "old" look and feel, SageMC answers that and pushes the features even farther than before. Ultimate Winter 2008 TV Premiere Guide and Fall 2008 Guide- I've never been totally happy with the TV premiere listings I've come across even from the big TV websites and blogs. So I began making my own and last year started sharing that with GeekTonic readers as well. Check out the latest one: Winter 2009 TV Guide here. Automatically Embed Large Album Art to MP3 Collections - There must be a large number of folks out there with big, disorganized MP3 collections because this post continues to get lots of hits. I still use this method to get some album art into my MP3's I rip from old CD's etc. Transform your AppleTV with Boxee - Lots of interest out there for the new HTPC program Boxee. Apple TV users were just hoping for something more than Apple gave them. Microsoft Fiji Arrives - And disappoints most U.S. users of Vista Media Center. SageTV HD200 First Look - SageTV replaces the popular HD100 Extender with a Extender/Player (can run as a stand-alone player if desired) that has more CPU power and more memory than the HD100. Review coming in next few days. That's just a sampling of the top posts. As you can see there's a definite focus on HTPC's, Media-Gadgets and the Media you play on those devices at GeekTonic. I'll continue on this path and plan to provide even better information and news to all of you in 2009.